What's that name again? Yes, we are now the West Wisconsin Railroad Club! For many years we were known as the Indianhead Model Railroad Club. The club has been reorganized which brings new opportunities. One of these is a "permanent" home, as permanent as life gets and as long as we pay the rent. We are building a permanent layout on which significant progress has been made. Our portable layouts are not going away. We still take them to shows and other venues. Bylaws have been written and adopted and we have been granted 501c3 status by the IRS so tax deductible donations may be made to the club. What about membership? We are, of course, open to new members. For more information please go to our Membership page. Two levels of membership are available. Western Wisconsin is home for us. 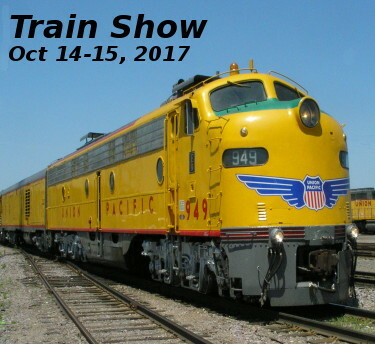 We like to get together to talk trains, build models and layouts, run trains, go to trains shows, watch and photograph trains, ride trains and trolleys, read about railroad history and future developments and enjoy being together doing most anything train related. Pictures for the "Name that Structure" quiz are needed. Let's keep this to railroad structures located in the Indianhead area of Wisconsin as first choice and other Wisconsin railroad structures when we run out of them. Submit your guess to the club webmaster. (See Contact Us for the email address.) Specify the location of the structure and the railroad that owns it, if known. Your guess and name (optional) will be listed here. 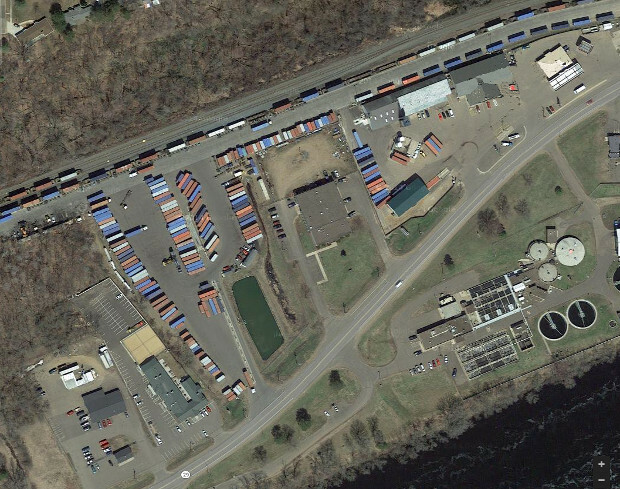 Thanks to Google we can see this intermodal yard from above. The facility in the lower right is a waste treatment plant. Some of the following dates are tentative. They are based on the weekend in the month of the previous year. Once a date has been confirmed it is marked (firm) otherwise it is marked tentative (tent). This list scrolls. Some browsers do not show the scroll bar.